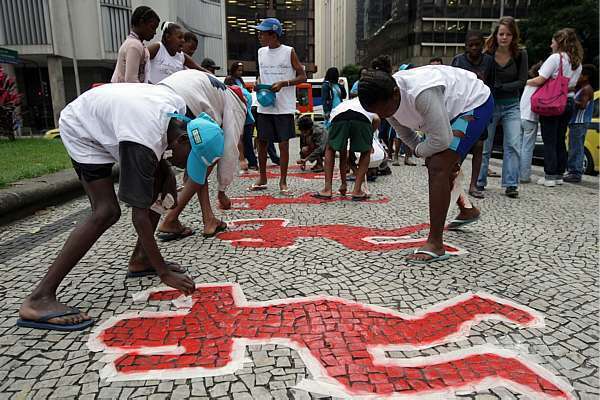 In 2013, at the 20th anniversary remembrance of the Candelária Massacre, another memorial was painted on the sidewalk in front of the church. However, in 2014, construction of the new light rail caused the city to alter the downtown bus routes. This sidewalk functioned as a temporary bus stop until 2016, causing hundreds of thousands of people to walk over and stand on the memorial. Today, this memorial is barely visible.